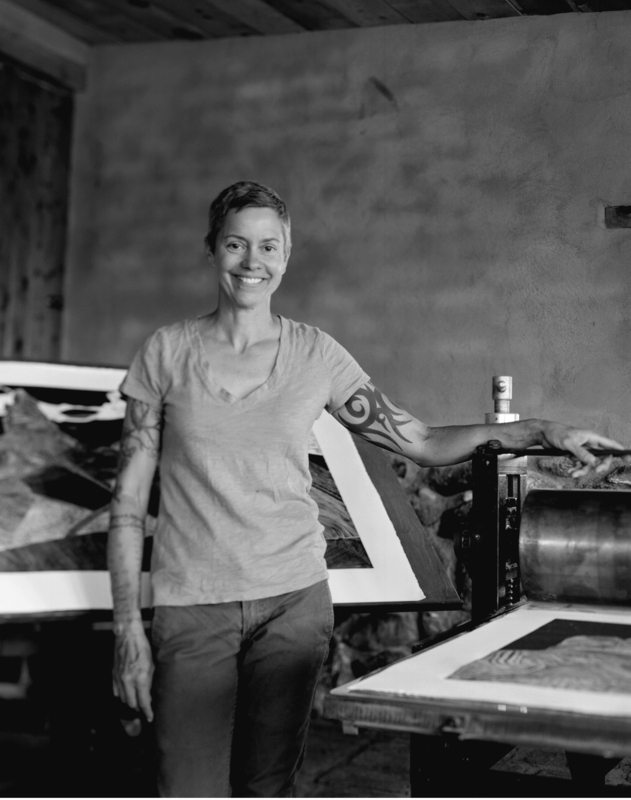 Hilary Lorenz is a Brooklyn and Abiquiu, NM-based artist.She makes large-scale installations of printed and cut paper that revolve around her physical exploration and relationship with the natural world. For the past seven years, Lorenz travels to New Mexico creating ambitious local and international projects that draw from her experience and infatuation with frontier living. Lorenz’s exhibitions include, Flutter, BRIC, Brooklyn, NY, (2017), Call and Response,Wave Hill, Bronx, NY (2017), Cross Pollination,Albuquerque, NM (2017), Birding, Brooklyn Bridge Park Commission, Brooklyn, NY (2016) Lean-to me,Courthouse Gallery, Lake George, NY (2015), NomadicGeography, Wave Hill, Bronx, NY (2014), In the Spirit, Pioneer Bluff Gallery, KS (2014), MountainJourneys,Muriel Guépin Gallery, NY, NY (2011). Her residencies and awards include, Yukon Arts Centre Chilkoot Trail Residency, Parks Canada (2018), LMCC Process Space, Governors Island, NY (2016), National Seashore C-Scape Residency, Cape Cod, MA (2016 and 2008); Outpost Studios, KS, (2014); International Nature and Culture Residency, Arts Tasmania, Australia (2008); Lower East Side Printshop, New York, NY (2006, 2007),Santa Fe Art Institute, NM (2005); FransMasereelCentruum, Belgium; Miskolc Museum of Modern Art, Hungary and many more. Lorenz is a Fulbright Scholar and NEA Mid-Atlantic Fellow, her artwork has been reviewed in NY Times, LA Times, Art in America, and Art on Paper. In 2011, she had the pleasure of running on Track and Field, the Allora and Calzadilla sculpture at the 54th Venice Biennale. Her work has been reviewed in Art in America, The New York Times, The L.A. Times, Philadelphia Inquirer, Kansas City Star, and many others. Her artwork also appeared in several books and journals including Leonardo, M.I.T. Press, Downtown Brooklyn, L.I.U. Press, A Creative Legacy: A History of the National Endowments for the Arts Visual Artists Fellowship Program. In 2010 she founded Stonetrigger Press in Abiquiu, NM. Located in the high desert, Lorenz, built by hand a large studio out of stone, mud, wood, and tin. Each year she spends three uninterrupted months deeply engaged in her practices–art, running, mountaineering. Lorenz received an M.A. and M.F.A. from the University of Iowa in printmaking and intermedia. She also has an M.S. in Exercise Science from LIU-Brooklyn.